The item you see here is a conceptual mock-up representing a proposed design for one of the backdrops included with Kenner's second series of action figure 3-packs. 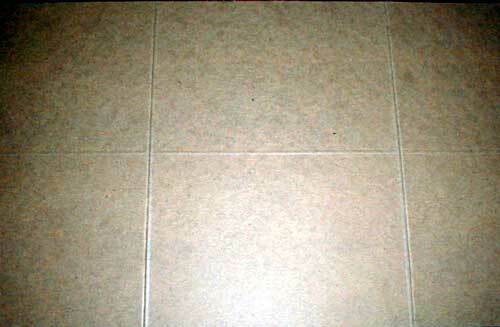 It consists of a photograph which has been mounted onto a piece of cardboard. Here you see the conceptual piece beside an example of the 3-pack backdrops that were eventually released. As you can see, the prototype is much larger. 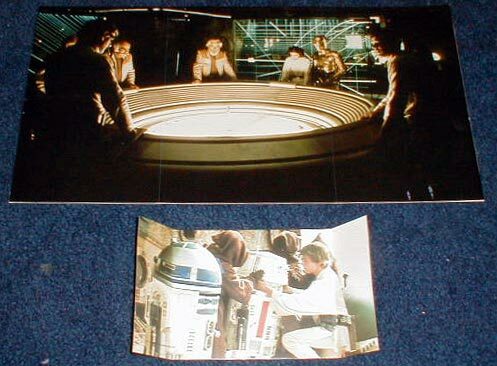 Whereas the production backdrops were designed to fold twice when being stored inside the 3-pack, this prototype reveals that at one point during their development the 3-pack backdrops were conceived as folding six times. Here's a shot of the reverse. You should be able to make out the creases caused by the various hinges in the cardboard. Why Kenner changed the format of these pieces prior to production is unknown. But I think we can speculate that the changes were the result of cost-cutting measures. It's also worth mentioning that no 3-pack backdrop bearing this image was ever produced.